View Poll Results: Do you think score95 is useful? Voters: 114. You have to register to vote in this poll. I was shocked to see that the questions are mostly short stem questions with no clinical case scenarios. USMLE exams as far as I know does not include such kind of questions anymore! There's a video explanation on how to install and the video did not play! They ask to install something called dotnetfx for Windows Xp and it did not install! Questions are low quality and some of them even has spelling mistakes! I just found out about it online and I can see the poll is not very good. 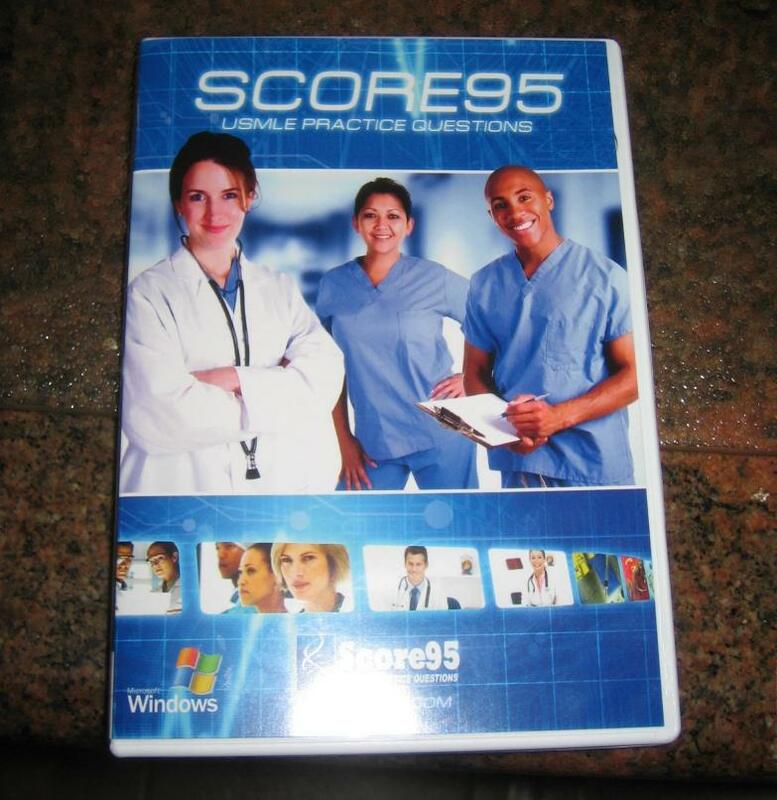 I got the CD, the questions are seriously poorly written and outdated and does not reflect the current trend at all. The guy that made the program couldn't even pass his step 1 exam, yet he's trying to sell questions that won't get you anywhere. The guy's not even a doctor. He tried using Kaplan questions and they sent him a cease letter. Those guys from score 95 are unreachable. I have left so many message in their voice mail even sent many emails to them for almost a month. They do not respond . What a poor service we get from them. I do not trust them with their material neither . I have bought it for me and a friend for Step 3 as Kaplan and UW poll for step 3 contain few questions. Yesterday I received DVD too. Interestingly it didn't have additional registration key, so it was useless to pay for it additionally, if I could download from the site and use one of the 2 keys ( for different computers) they give when you buy. Recently my laptop had problems and it is in repair. Now I think after repair perhaps I can't use the previous registrations key. Questions and answers really are quite old and very short. They lie by putting as a sample case like questions, then when you buy it turns out that real questions are not like that. I once tried USMLErx, long ago, for Step 1 and it was too easy. That's why I didn't take it. But anyway I think USMLErx must be better than this crap. The guy that made it took questions from other banks. Kaplan wrote him a cease letter which he then took those questions out. He didn't write one question. He never even passed his usmle step 1. He failed out and never continued. Hi. I would not totally agree with you. But while doing it I changed my mind about it. At first I thought it was terrible, but now I think it contains much useful information. The only problem it has, the questions are not like real ones, they are much shorter, then, it is old one. But if one has longer time for preparation than couple of months, definitely can buy it, as it is not for just a month, once you buy, you can have the access forever by your computer. Recently I lost my laptop and when asked them, they sent me additional couple of activation keys, many thanks to them for that. I discovered a lots of new information in tests, that I didn't met in any other resource. This source is not perfect one as UW but you can do it and explore it for longer time with a chance to better learn information in it, to later practice tests with UW or Kaplan. Currently I am satisfied with it.